Whenever we think about our web site’s ranking, we think SEO. But is there anything else to it? Our web site gets tossed aside and pushed down the list by seemingly inferior competitors and we put so much work into our SEO. While key words and reference links are a good way of creating traffic, they are also a great way of creating bounce-backs, which means no actual visitors, just travelers passing by. 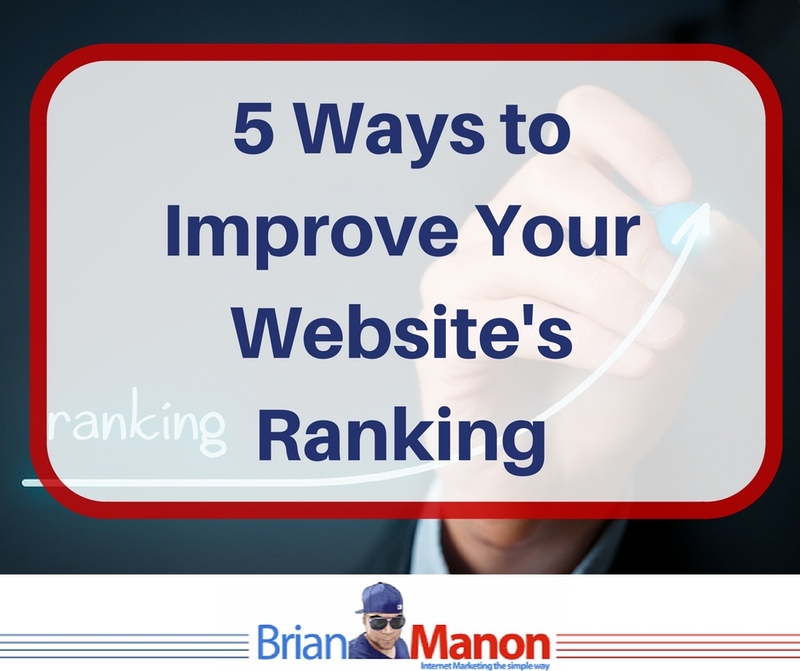 How can we improve our web site’s ranking and put it up there among the top relevant searches? Let’s put it out there and say that key word optimization is really important in creating traffic. Using key words wisely and sparingly and creating relevant content that our visitors want to see is far more important. It’s often more important to write and create original content and forget about key words altogether, simply because our reach and visitor word-of-mouth will do it for us. There are numerous ways to create content that matters, but the most important aspect of such content is avoiding click-baiting our readers. They won’t make the same mistake twice, and we want to convert them to regular visitors and subscribers. Your web site loading time is just as important as key words when it comes to SEO. Keep in mind that people will rarely visit a slow page again, just because they are used to getting what they want as soon as possible. SEO knows that and ranks the pages based on their loading times. A good way of optimizing your web page is discarding any irrelevant code or widgets that might slow down your web site unnecessarily. Take the amount of images on your web site into consideration. Do you have too many of them? Are they properly formatted? While images are necessary in web design, they also slow down loading times significantly. Make sure that your content is optimized for fast loading as it will help your ranking significantly. A good way of improving our web site and increasing our search ranking is by using SEO tools. These online tools will help our page become relevant again in no time at all. Google Analytics: There really is no better way to optimize our web site than the most popular search engine itself. Google Analytics will give us a detailed report on where our web site is lacking. It analyzes elements such as key word optimization and inbound traffic among others. It’s free and simple to use, so make sure to check it out. UberSuggest: Finding relevant key words that have not been used can be difficult, especially if your web site caters to a certain niche. Uber Suggest is the perfect tool for this task. By simply entering your key word, the tool will give you numerous suggestions about different variations of the same word. It’s a great way to differentiate your content from others while maintaining your SEO. Optimizely: Optimizing our landing page SEO can be troublesome and often bear very little fruit. That is why tools like Optimizely exist. By simply taking your landing page and testing it for visitors and traffic, it can determine what your next steps should be when it comes to SEO optimization. This tool can also completely transform your landing page as a test-run and give you a performance comparison between the two. If you are satisfied with the results, the tool will proceed with optimizing your landing page to make sure your ranking goes up. Urgent Essay Writing: Using a writing service is a great way of creating relevant and original content for your web site. While there are many of them out there, try to pick one and stick with it – they usually provide discounts for loyal clients. HootSuite: With the recent up rise in popularity of mobile platforms and social media, it’s hard to keep track of all the trendy new key words that people use. Hoot Suite is a tool designed around tracking social media and providing relevant key words, status updates, hash tags and different elements that prove popular in that particular moment. It’s easy to use and very helpful when trying to keep the pace up with younger audiences. Using too many external links can cause SEO to push down your web page for the simple fear of spamming users with irrelevant click-baits. However, if you use outbound links in a smart way, it can give your content legitimacy. Your visitors will feel like they are reading professional content written by someone who does their research. If you use outbound links to show your visitors irrelevant and ad-filled links, they likely won’t come back again. Make sure that you respect your visitors and provide them with useful content. We’ve mentioned the modern trend of using a mobile phone to access relevant information. This is true not only for your content, but for formatting as well. More often than not, web sites focus on providing content for computer users without bothering to think about how their web page will respond on a smaller screen. SEO goes far and beyond mere text and content when it comes to testing pages for a mobile-friendly environment. Make sure that your page doesn’t require a large screen to be displayed properly and that your web site template has a mobile-friendly version included. More and more conversions are coming from mobile users instead of computers, simply because people are constantly on the move. A fast and responsive landing page will not only increase your traffic but also make sure that people come back after they leave. Rick Riddle is a marketing consultant and an up-and-coming blogger whose articles aim to help people with digital marketing, blogging, entrepreneurship, and career. Feel free to follow Rick on twitter and LinkedIn. Great tips – SEO is definitely a challenge for me, and the UberSuggest tool is one I’ll be checking out. Thanks for another informative post! As always, great tips. Thanks. Fabulous tips, Brian. I struggle with SEO a bit but am working on learning more. Thanks for sharing! Great tips as always Brian! These are awesome tips. I am going to try that UberSuggest you mention. Great tips! Does Google penalize you if you were to guest post on one site and then after a few days, repost it on your site and attribute a link to the original post? These are great tips Brian. Thank you for the SEO tools. I did not about some of them. Thank you for these tips. SEO is such a confusing thing to me, but I’m breaking into it slowly. I’ll definitely try some of the resources you mention here!